Stunning from any angle you look at it, the Tuscan Stone or Timber Top Dining Table is simply a work of art. The matte black stainless steel butterfly base is welcoming, striking and elegant. On top, your choice of a dazzling Italian imported marble-look ceramic or elegant solid American walnut timber. Ceramic now has two colour options. Made In Italy. Stunning Quality Ceramic in two colour options. Strong and Hard-wearing. Great anti-scratch properties. Non-porous. Unlike marble, Ceramic is non-porous. Perfect for the entire family. Live without fear of easy damages. 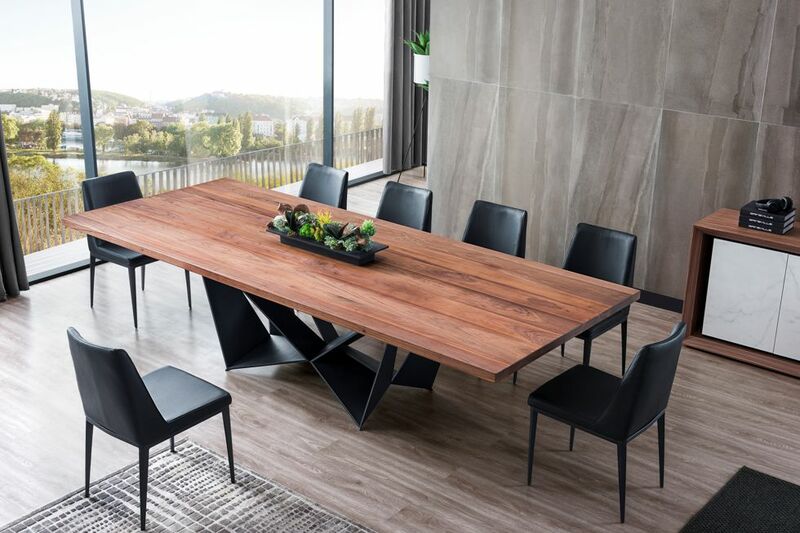 Depending on the size of the dining chair you use, this stunningly grand dining table can seat up to 14 people. 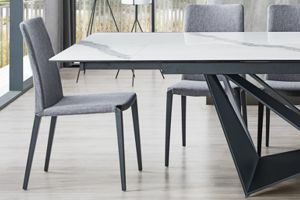 Extension Table option starts from 210cm and extends to 290cm. Fixed options are also available. 240cm x 120cm, 270cm x 120cm and 300cm x 120cm. 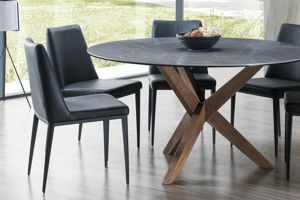 The Tuscan Dining Table is also available in fixed, no-extending timber. The striking American Walnut top is timeless and elegant, offering a versatile look to any home.